How do you measure success? There's no wrong answer to that question. For every person the answer is different. For me, it's not about the bottom line. And I know that seems cheesy to say - we all have debt, we all have bills, we all need to make a living. And while a little extra disposable income would be certainly welcome, it's not why I started Vaera. For Vaera Journeys, I measure success when the women who go on our retreats form a community and start to collaborate with each other to help each other's businesses grow. In just two and a half months since the first retreat, I have seen the women who joined us work together in so many different combinations and on so many different fronts. It's beyond inspiring and impressive, and for me, refreshing to see women who are so dedicated and motivated to growing not only their personal businesses and brands, but helping other women do the same. Let's start with Debbie Arcangeles, founder of The Offbeat Life podcast. 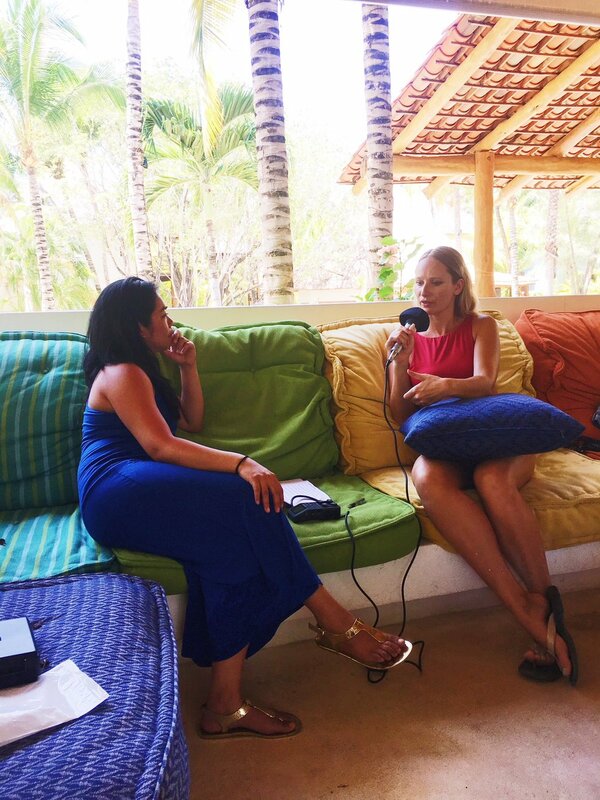 She has interviewed already three women from the retreat on her podcast, giving both herself new content, and the women on the retreat exposure for their own personal brands and businesses. You can listen to her interviews with Jessica Torres, Joni Sweet, and Elena Ollick - who just happens to be our speaker for the May 2019 retreat (another collaboration!). Through a collaboration between Debbie and myself, she also grew a new aspect of her podcast, which is having former guests come back on and be interviewed by listeners who were inspired. I was just interviewed by a listener who was inspired to quit her full-time job to take up freelance writing. She asked me practical questions about how to get started and to succeed. Stay tuned for the link on that one when it goes live. Then there's Andrea Valeria, a vlogger and digital nomad. She and I have recently collaborated, traveling to hotels and destinations offering them comprehensive media packages including print and web articles, as well as video blogs. This opens up new opportunities for both of our careers, as well as provides us with new business contacts all over the world. She also did separate vlogs on the retreat that highlighted each of the women traveling with us. Joni Sweet, a freelance writer, has gained useful contacts to use as sources in her writing, and has used Andrea when writing her articles. This expands her network of contacts, and also gives exposure to Andrea in the media. I loved Jessica Maxwell's photography so much on the trip that she is now the official photographer for Vaera Journeys' future retreats. Vaera Journeys is all about inspiring women in inspiring places. A six-day trip to Mexico brought these women closer together, where not only friendships were forged, but important business contacts were made, which continue today to help each one grow her business and gain new perspective and ideas. Women helping women. That's how I measure success.